At the center of many of Vermont’s small towns and village centers is an important gathering place — the Country Store. These are places to get coffee or food, pick up a paper or dinner, meet with friends, or find out about the days activities. We recognize the historic value of these stores and believe in the importance of keeping them vital in today’s world. To learn more about how to get your country store listed here, please contact us! 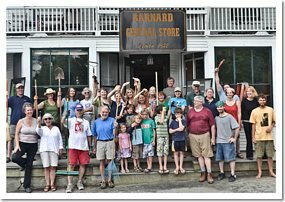 Recently threatened with permanent closure, the 1832 Barnard General Store has now reopened under new management and is owned by the Barnard Community Trust. Come be a part of this historic small-town community hub and enjoy an ice cream sundae at the soda fountain! The 100-year old store provides one of the largest selection of wines in Vermont, Vermont micro-brews, artisan cheeses, pure Vermont maple syrup, and other Vermont specialty foods. We pride ourselves on our continual support of local farmers through sales of farm fresh eggs, meats, sausage, cheese and vegetables from the Champlain valley and its importance in the localvore movement. The Village Store is not only a great wine shop in Rutland County but also the hub of this local community. Located in the 1817 Broad Brook House, the newly re-opened Guilford Country Store and Cafe offers basic sundries as well as foods prepared in-house using the freshest local ingredients available. Enjoy a delicious meal from the deli in the light, cozy cafe or just relax, have a cup of coffe and surf the web. Catering services are also available. Stop by! 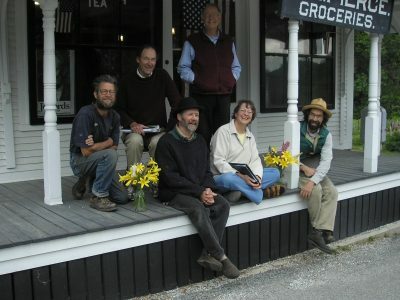 The Shrewsbury Cooperative at Pierce's Store is nestled in the beautiful mountains of North Shrewsbury, VT. 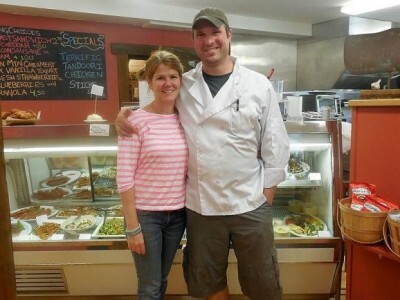 Here you will find freshly baked goods, soups, pizzas and sandwiches, prepared on site by Chef Rob McKain, as well as groceries, bulk foods, local meats & cheeses, maple syrup, coffee, beer & wine, and more. We try to have something for everyone: Conventional, Local and Organic. For those wanting to take a step back in time, we welcome you to learn more about this historic landmark and the Pierce family. In the store, check out the fancy old scale, cash register, photographs and other antiques displayed throughout.